514 pages | 11 B/W Illus. Engaging, timely new sections designed to make students think, such as "Why Are So Many Leaders Losers?" and "Even Terrorists Like Good Government"
Extensive new material on e-governance, performance management, HRM, intersectoral and intergovernmental administration, government contracting, public budgeting, and ethics. 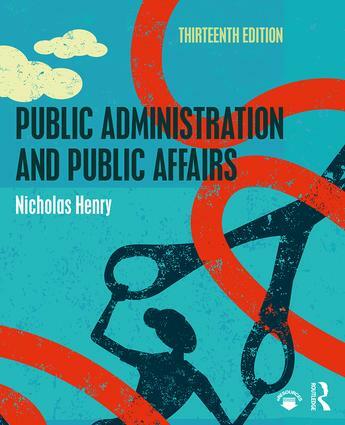 The 13th edition is complete with an Instructor’s Manual, Testbank, and PowerPoint slides for instructors, as well as Learning Objectives and Self-test Questions for students, making it the ideal primer for public administration/management, public affairs, and nonprofit management courses. Nicholas Henry is Professor Emeritus of Public Administration and President Emeritus at Georgia Southern University, USA.